First things first, and this may seem shocking, but customer objections are not always a bad thing. Customer objections are a clear sign that your prospect is mentally engaged, serious enough to seek more information, and emotionally invested in the sale. You’ve got them right where you want them! Your success in addressing them will increase with a process based approach. Although they may be worded differently, customer objections usually boil down to five or six key questions that routinely come up during the selling process. They are the barrier to the customer executing the purchase. Overcoming the objections is pivotal to closing the deal and your success in addressing them will increase with a process based approach. Why do customer objections arise? Why do customer objections arise? In most cases, objections are the result of missing information that they buyer needs to have to complete the buying process. The Qualified Prospect Formula = VisionMatch Differentiated x Value x Power x Plan® is the perfect tool to help you identify that missing component. For example, you might discover that an objection has arisen because the buyer doesn’t fully understand the unique value you can bring to their organization with your product or service. Remember, this is why you have a sales framework! 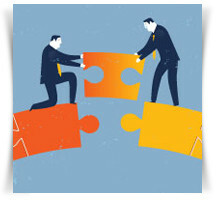 A sales framework allows you to manage your sales engagement process. It identifies areas where questions arise, and gives you the opportunity to practice and prepare to address them (if not eliminate them entirely). Become an expert at handling objections by making the right investments early in the sales cycle. That investment translates to thoroughly understanding the nature of the objections and executing each step in your sales process. What is motivating the objections? If you can’t get to the real roots of the customer’s objections then you will have little opportunity to overcome them. To identify the true, underlining objection, it is important to first understand exactly what type of objection is being raised. Is it a value concern, a power concern, or is there something not connecting with your solution? Is this a request for more information (maybe the objection even sounds like complaint)? Is this a misunderstanding, misperception, or miscommunication? Is this merely a negotiating tactic? What types of customer objections do I need to recognize? Though we know price and value are always on a buyer’s mind, they also want to feel special. They are looking for exceptional treatment, and they want to feel confident they made a great deal. Always be ready to address objections and be especially prepared to address price, budget, competitive alternatives, packaging, innovation, and technology. By addressing these concerns with a positive message, the buyer will be reassured they are making the right decision. Keep in mind, if you don’t differentiate yourself, and your products and services, you’ll be forced to compete on price alone, every time. This is not a formula for long-term prosperity in the sales world. Keep it simple, but follow and perfect a process for handling objections. Where does the prospect need further information or clarification? Which component of the QP Formula is weak? Remember, often objections are just part of the negotiation process – root out all of the objections, understand all of the concerns, and address them in totality versus bit by bit. Customer objections are a reality, but they don’t define reality and they don’t need to catch you off guard. Effective sales professionals understand the importance of preparation and prediction. Their plan to handle objections often starts well before the initial sales call and they are assigning devil’s advocates in their own sales organization to help identify potential problems they foresee with a prospect. Try this approach yourself and ask a colleague to role play, be your customer, and practice identifying, anticipating, and addressing customer objections. Get confident and get comfortable! This article authored by Marissa Lew first appeared on ValueSelling.com. 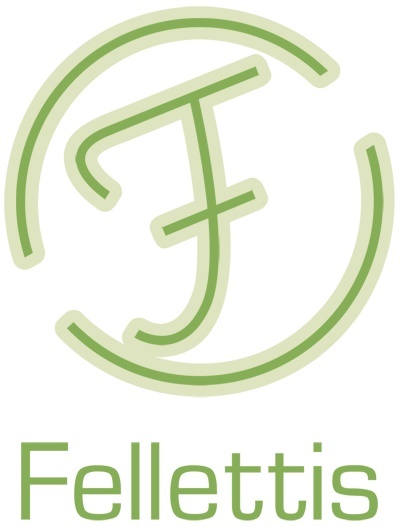 Fellettis brings Value Selling to Singapore, subscribe to our newsletter to receive free sales tips and take your performance to the next level.